Airline travel with your pet, whether it’s a dog or a cat, will require a great deal of planning and organisation if it’s going to be a positive experience. If you want the experience to be memorable for all the right reasons, then the golden rule is to get started early. The first step, as always, is seeking information, so you’ve come to the right place. We’ve put together a comprehensive guide for what you’ll need, how to get it, and the best ways to have your pet organised and ready to fly when the day finally comes. Airline travel is a big step for any bow wow or meow, so follow this guide closely and everything will work out without just fine. First things first—your pet must be fit and healthy in order to travel. As soon as you know that you’ll be taking your pet on an adventure, be sure to book a check-up with the vet. This is where getting started early is important—while check-ups aren’t that difficult to organise, it’s the first step of many others. 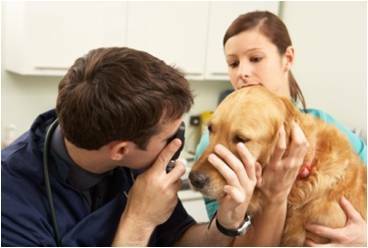 Your vet will want to do a thorough examination of your dog or cat. It’s important to tell them where you are headed and for how long you plan to be away whether it is interstate or overseas. Some countries and regions are more likely to have particular ticks or other parasites that are harmful to your pet. Your vet will also determine whether your pet’s vaccinations are up-to-date and will administer boosters if required. You can find more information on the necessary types of dog vaccinations here. 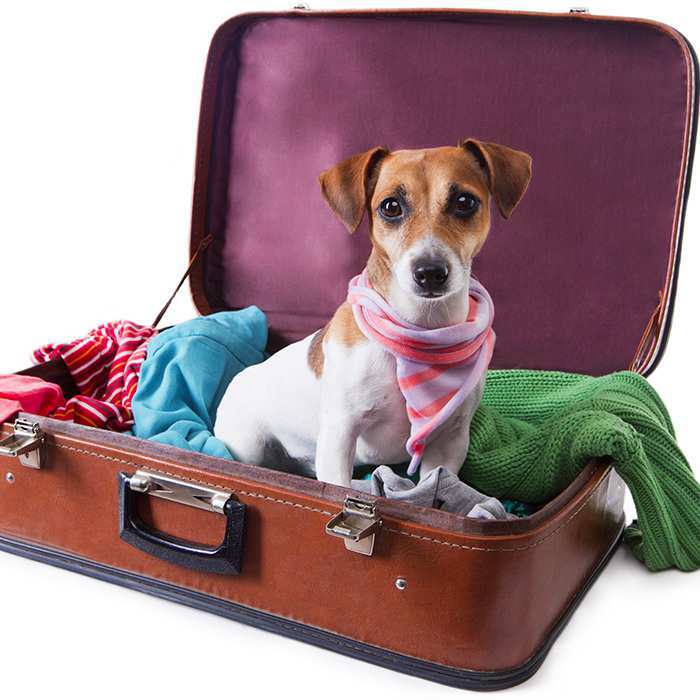 Make sure your pet is allowed to travel before you plan your trip. The minimum age for your pet to travel on an airliner is eight weeks. They must be weaned from their mother and completely independent. Any pet under the age of twelve weeks will need to have a declaration from your vet, acknowledging their fitness for international travel. Pets are required to meet certain protocols outlined by the Australian authorities plus those of the destination country. And it’s the destination’s requirements that can get tricky. These will often involve advanced examinations, tests and treatments performed by the Australian Quarantine Inspection Service and its official veterinarians. We’ll list a couple of popular destinations and their current requirements but, for a comprehensive understanding of your specific circumstances and the requirements your pet may need to meet, we recommend contacting a pet transport service for help. 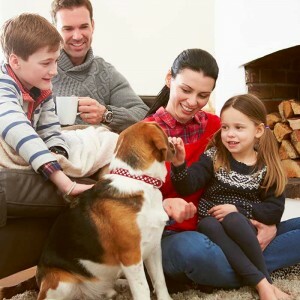 Qantas has a very useful travelling with pets page where they outline a number of considerations you’ll need to address before you plan your trip. For example, pets must be booked with Qantas Freight and, if you’d like to be on the same flight as your pet, you must have their booking organised before you organise your own. Quarantine regulations do not only apply to overseas destinations, they also apply to pets travelling interstate to places such as Western Australia, Tasmania, Lord Howe, Norfolk and Thursday Islands. Losing your luggage is a pain, sure. Losing your pet is an absolute nightmare. This is a simple enough thing to check off your list. In fact, you’ve probably got this covered already. When travelling with your pet it is essential that they are both microchipped and wearing a collar and tag. Unfortunately most of us have had a bag misplaced by an airline and making sure your pet can be clearly identified as your own is a must. If your pet’s name tag only has its name and not much else, get a new one made listing your phone number and a back-up for if you’re not available. We’ve known some people to even get one specially made for their trip with the airline clearly printed on it as well. You’ve organised your travel insurance, but what about your pet’s insurance? Your pet may fall ill while away from home and vet bills may prove to be expensive. It’s important to consider the benefits of having a pet insurance policy that has the option for travel cover. At Bow Wow Meow we offer pet travel insurance. We will pay for eligible veterinary costs that your pet has incurred while on holiday with you in destinations where your pet is not required to be quarantined on return to Australia. It’s an important step to consider, and one that needs sorted well before you’re on your way. In our experience, travel cover has saved many a holiday from disaster. It may not be first class, but you can do a lot to make things as comfortable as possible. Choosing the right travel crate for your pet is an important decision. They may be cooped up for many hours on a long trip across the country or overseas and it’s important to make sure they’re as comfortable as possible. Most of these things are common sense, but it’s important to get it right. Travel crates should be big enough, but not too big. Make sure your pet can stand up, stretch properly and walk around a little bit in their travel crate. 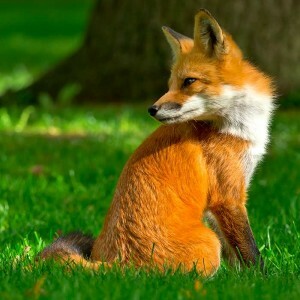 This means that it’ll need to be big enough for them to be able to move, but not so big that they will feel vulnerable. They should have comfortable bedding. You’ll likely be embarking on a long trip so make sure that your pet will have all the comforts they’re used to. It doesn’t hurt to include bedding and a toy or two from home—the familiarity will reduce anxiety levels. Travel crates with plenty of ventilation is a must. Make sure there’s plenty of ventilation as your pet will be in a small space for a long time. Fresh air will be important for their comfort and health. Your pet’s travel crate must be secure. 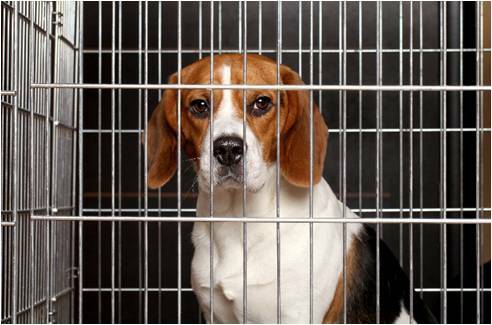 Injuries can occur if your pet is able to stick their nose or paws out from the safety of the crate. While good ventilation is important, it’s just as important to make sure your choice of travel crate doesn’t allow for them to expose any of their body. Your chosen airline may have specific travel crate rules that should be known before you book your pet in for their flight. Qantas states on their website that their requirements are in line with those required by the International Air Transport Association (IATA). Qantas’ regulations for travel crates are a good starting guide, but you should find the requirements as outlined by your specific airline. The big day has finally arrived. What’s left to do now? It’s important to avoid feeding your pet for about four to six hours before leaving home for the airport. If you feed them, they’ll need to urinate and will likely be forced to sit in their own excrement for hours. It may seem cruel, but it will end up being better for them in the long run. Next, make sure you’ve trimmed your dog or cat’s nails back. 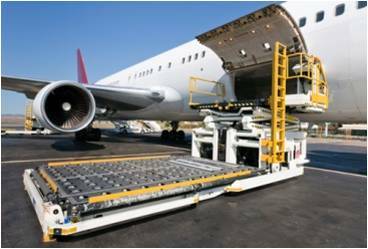 This is so they won’t get anything caught, jammed or pulled during transit and the loading and unloading of the aircraft. While some people will swear by medications that are designed to relieve anxiety or stress, these are not advised. Any medicines designed for human consumption—especially those that have a sedative effect—are dangerous for pets to take and should always be avoided. If your dog or cat is subject to extreme travel anxiety, speak with your vet for a safe alternative. Finally, don’t forget to pack for your pet—they’ll be expecting to see their luggage at the other end too. Interstate or international travel can be a pretty overwhelming experience, even the bravest of pets. To help ease the stress of travel, it’s a good idea to take a number of familiar items with you. Simply getting off the aeroplane and eating from their old bowl from home will often make a big difference. Remember to pack their toys and a couple of packs of their favourite treats—you never know if you’ll be able to find the same ones where you’ll be going. Always make sure you’ve understood the requirements of the Australian Government, as well as the requirements of the country you’ll be travelling to. Be aware of any illnesses or parasites that may be a risk to your pet’s health and ensure that all their vaccinations are up to date. 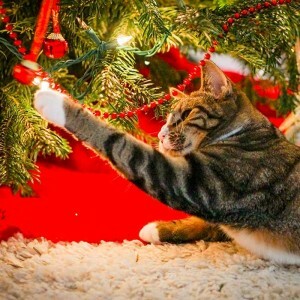 We hope you and your pet have a fantastic trip away. Be sure to drop us a line and let us know where you’ll be adventuring next—you’re more than welcome to leave a comment below. Travelling with your Pets – Tips from Dr Katrina Your pets are part of your family and family holidays can definitely be more fun when your four-legged friends are invited along too!